ALEXANDER von HUMBOLDT II has been sailing the high seas since 2011. 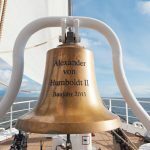 Like its predecessor ALEXANDER von HUMBOLDT, ALEX-2 is a civilian squarerigger offering tall ship voyages for everyone, regardless of previous experience. All you need is an open mind and a spirit of adventure! 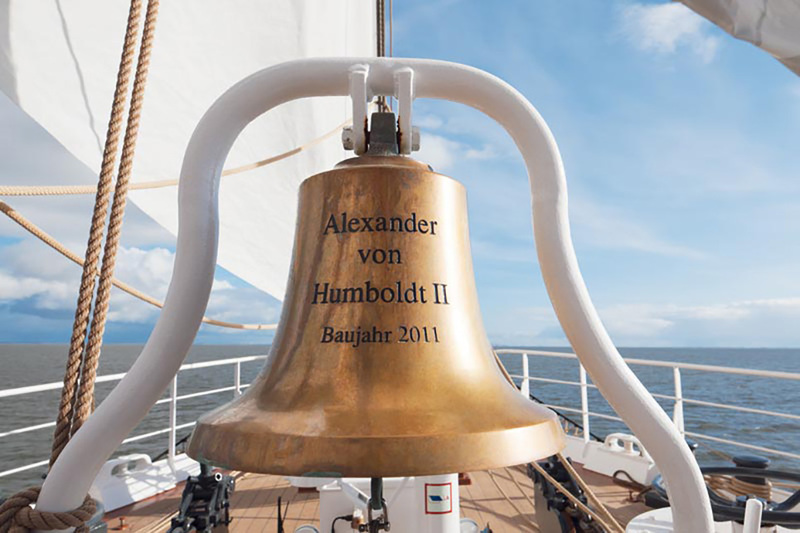 ALEXANDER von HUMBOLDT II has been built with a traditional barque rigg. That means the fore and main mast carry square sails while the sternmost, the mizzen mast, carries gaff sails. 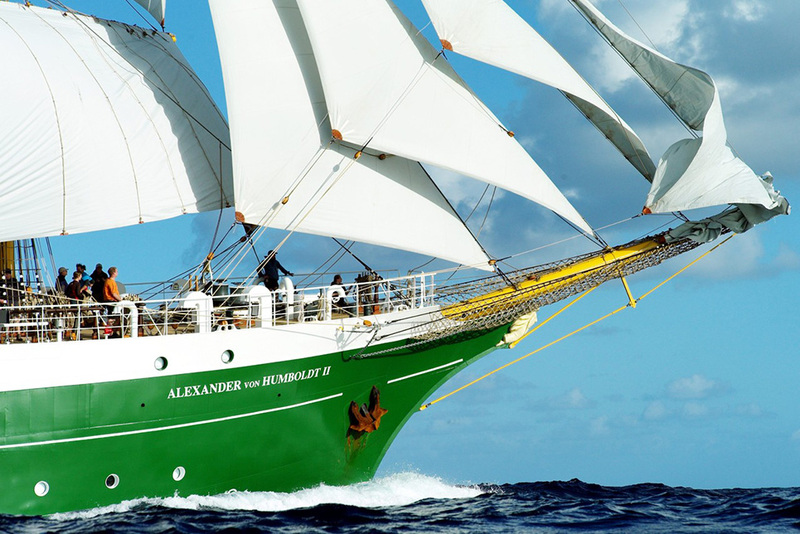 In total, ALEX-2 is driven by 24 sails with a sail area of 1.360 m2. 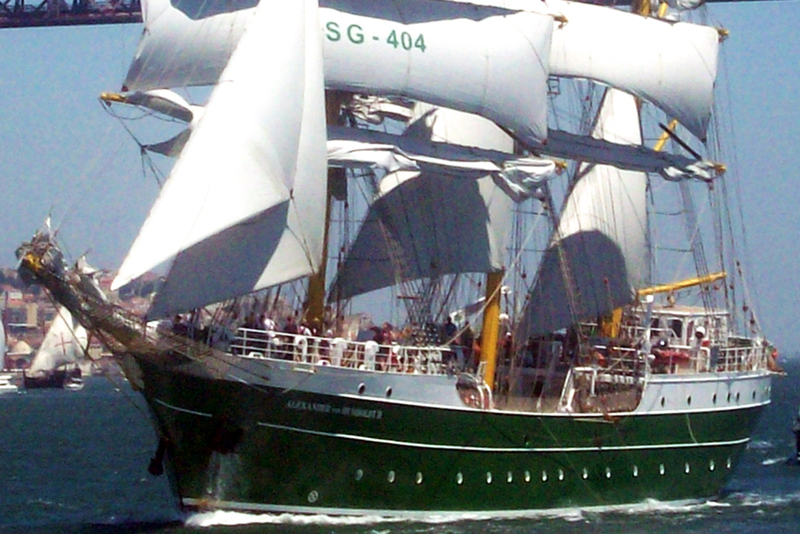 In favourable wind conditions, she runs up to 14 knots. And if the wind does not blow at all, a 750 horsepower engine helps to reach the next port in time. 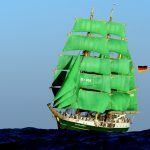 While the rigging resembles that of a windjammer built 150 years ago, the safety and rescue equipment of ALEXANDER von HUMBOLDT II is absolutely up to date. 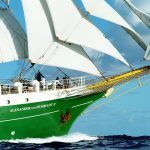 Radar, radio and satellite communication, electronic charts, life rafts, two high speed dinghys and many things more make her a modern ship and easy to navigate. 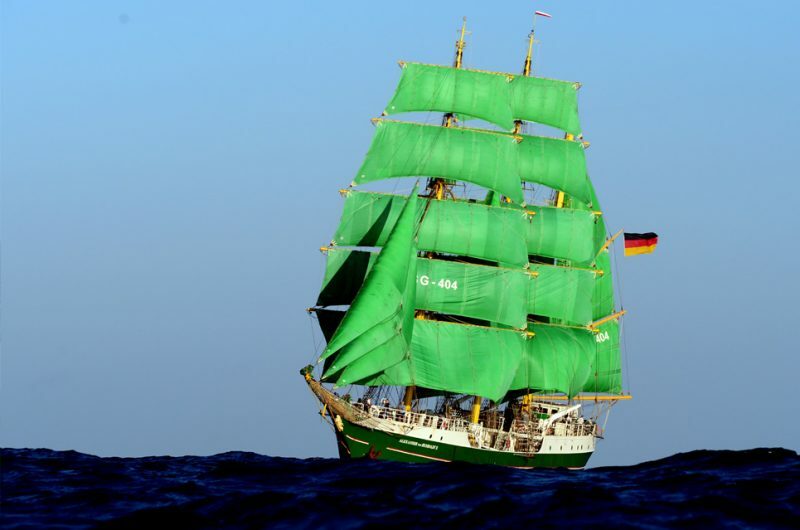 ALEX-2 is owned and operated by Deutsche Stiftung Sail Training (German Sail Training Foundation / DSST), based in the barque’s homeport Bremerhaven. DSST is a non-profit, charitable organization. 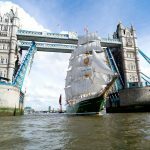 Its aims are to provide traditional high seas sailing for people of all ages, but especially for young men and women aged 15-25. 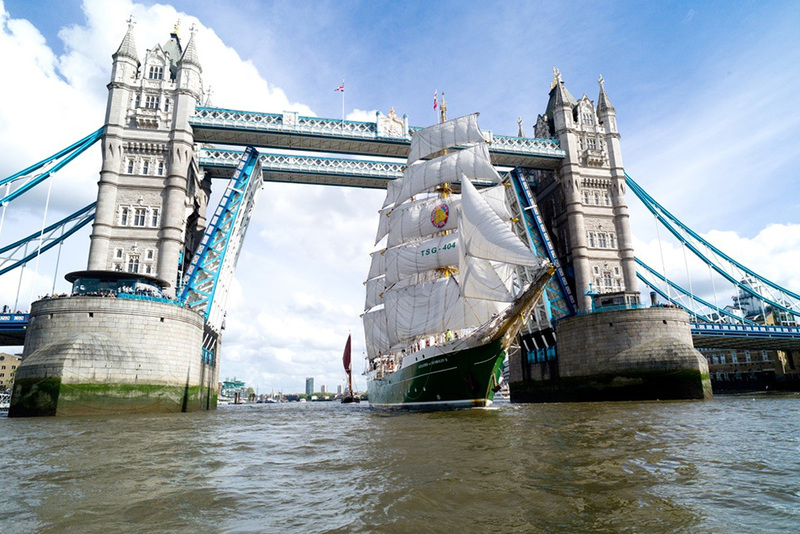 We provide traditional seamanship training on a Tall Ship. The benefits of this are; social and personal competence, meeting and working with other young persons of different nationalities. Trainees learn to accept the forces of nature, enjoy team work, find out and accept their own borders and barriers and they learn by coaching to go the extra mile when it comes to challenges, without any risk for personal physical injuries and bodily harm. 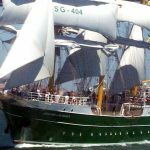 Learn how to sail and operate a Tall Ship (square rigger) in all types of weather, being confronted with many challenges, physical and emotional. Working in teams and time shifts, learn to accept other cultures, mentalities and go towards opportunities. Experienced crew members train and educate the official approved sail training programme of the DSST.